How do you describe how young people are using digital technology outside school in ways that are concise yet comprehensive enough to allow meaningful comparisons across instances? This was a problem that we faced on the NP3 project. As NP3 was underpinned by a sociocultural stance (see my attempt to explain sociocultural theory Part 1 and Part 2) we used that as a starting point to think about how to examine the data. 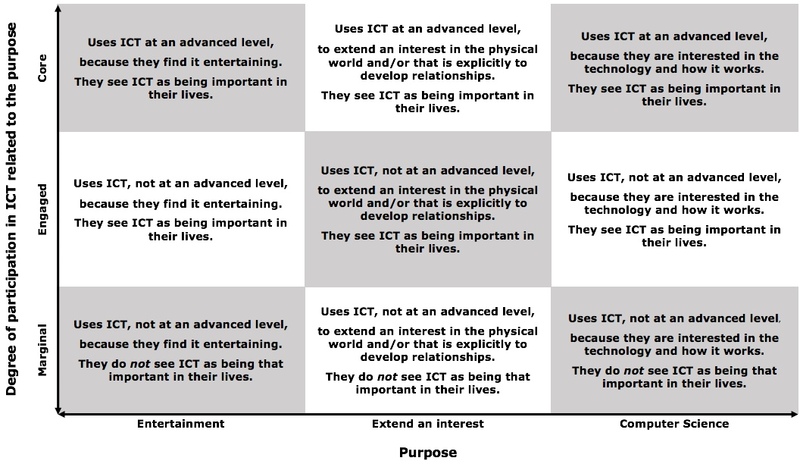 The intersections of these two dimensions resulted in the Digital Practice Framework shown below (Note - the term ICT is used instead of digital technology in this diagram). There were some children whose practice could have been located in more than one cell in this framework. Whilst this would be quite appropriate if focussing on different instances of use, within NP3 we wanted to come up with one overarching categorisation of each child's digital practices. We decided that this overarching categorisation ought to be the 'most advanced' option available on the Degree of participation dimension. 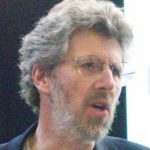 Similarly, we decided that where a child's digital practices involved Extend an interest this would override Entertainment, and that Computer Science would override Extend an interest. In other words a child's digital practices would be located as high up and as far to the right as possible based on the evidence collected. 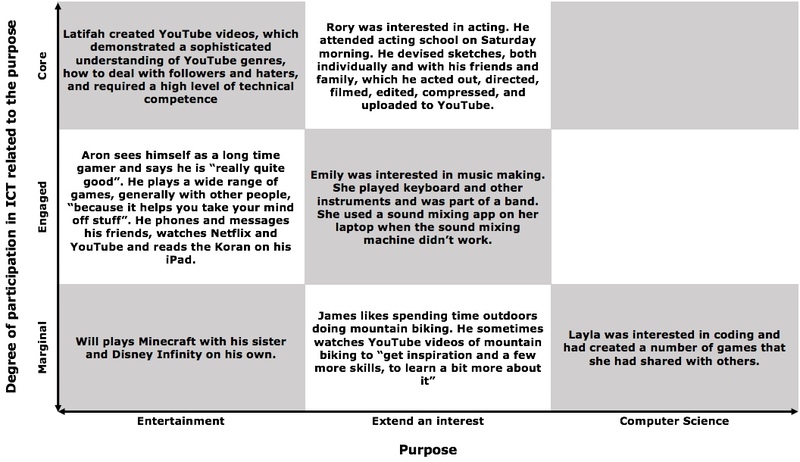 The diagram below illustrates how seven individual children's digital practices were categorised. The Engaged and Core cells for Computer Science are blank because we didn't find any children amongst our participants whose practice best fitted into those categories. Very few of the children in our study engaged in coding outside school and of those that did the motivation often appeared to be to be able to spend time with their dad rather than an interest in coding per se and so we categorised that as Extend an interest rather than Computer Science. This framework proved helpful in distinguishing between the NP3 children's digital practices outside school. For further information about the Digital Practice Framework see the NP3 Meta-analysis Report (PDF) (and in particular pp.37-39 and Section 6).